This Turbo Z28 Camaro Is A 6 Speed Street Monster! 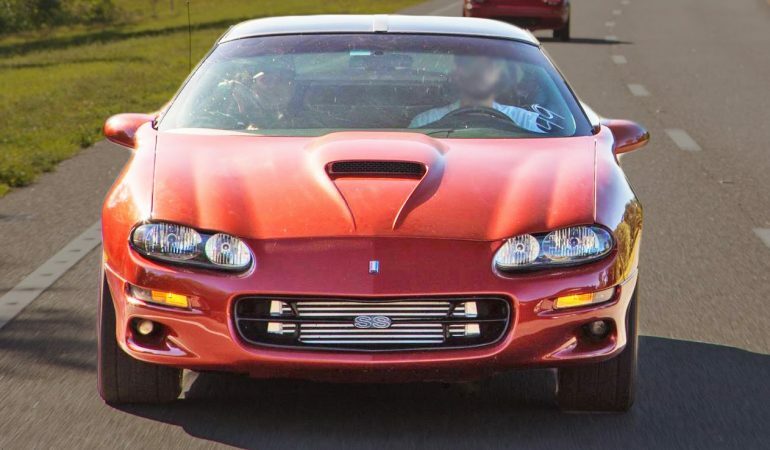 These days, it is a well known fact that automatic cars are better on a dragstrip, so it is quite a flashback to see a manual out there, especially when it is as powerful as this Camaro. It is not the fastest ride in the world, put it puts on quite a show where ever it goes. The car definitely needs a better suspension to handle all that power, but for now, it is just a spectacle on four wheels. Check it out in action in the video below.